According to a study conducted by the USGS, radium was detected in concentrations that equaled or exceeded U.S. Environmental Protection Agency drinking water standards in more than one in five wells tested in the Mid-Continent and Ozark Plateau Cambro-Ordovician aquifer systems, underlying parts of Ark., Ill., Ind., Iowa, Mich., Minn., Mo, and Wis.; and the North Atlantic Coastal Plain aquifer system, underlying parts of Del., Md., N.J., N.Y., N.C., and Va.
Radium is generally present at low levels in all soil, water, and rocks, including groundwater. However, the study found that if the groundwater has low oxygen or low pH, radium is more likely to dissolve and become present in the groundwater. Low oxygen conditions were prevalent in the Mid-Continent and Ozark Plateau Cambro-Ordovician aquifer systems, and low pH conditions were prevalent in the North Atlantic Coastal Plain aquifer system. "Radium is a troubling contaminant in groundwater because it cannot be readily detected by taste or smell, nor are the analytical methods for measurement easily applied by non-experts," said USGS director Marcia McNutt. "This new-found correlation between radium contamination and low oxygen or low pH allows very simple tests to determine which groundwater sources are at risk from radium, and why." Low oxygen or low pH conditions were associated with more frequent detections of radium in other aquifers as well. "This is the first nationwide study to identify geochemical factors present in many aquifers, such as low dissolved oxygen or low pH, that make groundwater more susceptible to radium contamination," said Jeffrey Fischer, USGS hydrologist and a coauthor of the paper. "These simple geochemistry measurements are good indicators of where radium is likely to exceed a standard and can help managers and the EPA anticipate areas where radium may be elevated." In most aquifers used for drinking water supply, radium concentrations were below EPA standards, especially in the western U.S. 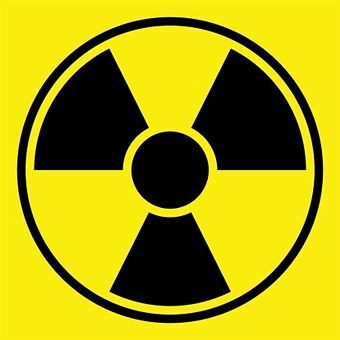 Exposure to elevated levels of radium over long periods of time can increase the risk of cancer. Radium can enter the body in drinking water. It behaves similarly to calcium and can replace calcium in tissues, particularly bone. Long-term exposure to radium increases the risk of developing diseases such as bone and sinus cancer, lymphoma, and leukemia. Radium is derived from the common long-lived radioactive elements, uranium and thorium, which decay slowly to produce radioactive elements like radium. Groundwater flowing slowly through pores or cracks in underground rocks and sediments can dissolve radium-bearing minerals as it moves. Three commonly occurring types are radium-228, radium-226, and radium-224. 1,266 wells were sampled by the USGS National Water-Quality Assessment Program (NAWQA) from 1990 to 2005 and analyzed for radium-226 and radium-228 for comparison to the EPA drinking water standard. A subset of 645 water samples were analyzed for the short-lived radium radionuclide, radium-224, which had not previously been measured in many parts of the nation, but is a concern in drinking water. A specific drinking-water standard has not been established for this form of radium. This study examined untreated water from the wells, and the findings represent the quality of water in aquifers before treatment. Approximately 50% of the nation relies on groundwater as their primary drinking-water supply. NAWQA is the only source of nationally consistent monitoring data and information on chemical contaminants in groundwater. The program also conducts regional and national studies of the susceptibility and vulnerability of the nation's most important aquifers. The study, titled "Occurrence and Geochemistry of Radium in Water from Principal Drinking-Water Aquifers of the United States" by By Zoltan Szabo, Vincent T. dePaul, Jeffrey M. Fischer, Thomas F. Kraemer, and Eric Jacobsen, is published in the journal Applied Geochemistry. The article and a USGS fact sheet about this study is available online. Learn how you can protect not only your water but your family as well with a simple water purification and treatment solution. Click HERE for more information. I had no idea about groundwater testing. I didn't know that what is the part of radium in ground water. But now I got much information about radium and its characteristics by this article. And I would like to ask you that what effect will become if groundwater oxygen increase?